Romanian energy security recent government report says that Romania should seek its energy independence from coal fired TPPs. A quantity of at least 500MW from Hunedoara Energy Complex will be taken as priority in the national energy system up to December 31, 2017, according to a draft government decision initiated by the Department of Energy. To maintain the security of the national electricity system, Hunedoara Energy Complex Society – SA has the obligation to provide ancillary services to transmission system operator to a value of electric power of 500MW, according to the regulations issued by the National Energy Regulatory ‘reads the text of the draft government decision. This means increased production output from this energy complex. GD 138/2013 established guaranteed access to the grid the energy produced within the County Complex 200 MW, to July 1, 2015, but the current initiative to increase the amount of energy 500 MW and extends old term until 31 December 2017. In substantiation note, representatives of the Department of Energy explains that the National Power System registered and recorded further significant increase in the number of power plants that generate electricity from renewable sources of energy, whose production is unpredictable and intermittent nature . The installed capacity in power plants in operation of wind is about 2,000 MW, and that of the solar energy sources of about 1,100 MW, followed in 2014-2015, based on establishing authorization dossiers submitted to the National Regulatory Agency Energy (ANRE), put into operation new capacities using renewable energy for about 2,500 MW. As a result, on the wholesale electricity market there is a decrease in electricity prices because support for these power plants is not included in the selling price of electricity by producers. Power plants producing electricity from conventional sources, especially those that use coal, increased costs because cannot operate continuously, and when TPPs are stopped they may not provide any ancillary services because of long durations start and high cost. Thus, coal-fired power plants which have higher production costs, are not competitive on the market. 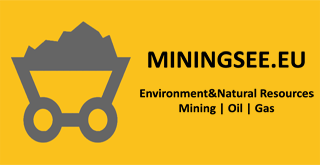 ‘In addition, this chain affects the mining sector by reducing the quantity of coal used in electricity production, with all the negative consequences that would occur in the future, therefore, on Romania’s energy security. However, the operation of power from conventional sources of energy is needed to cover the load curve of the consumption of electricity and providing ancillary services says in the strategic proposal report. The draft also says that coal is a strategic national resource of Romania, in the context in which it seeks security and independence of energy supply.